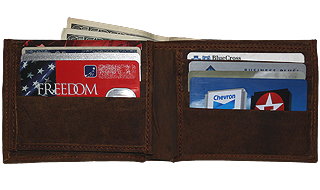 This wallet was created as homage to my Dad who used to carry a wallet much like this one and he called it his billfold. 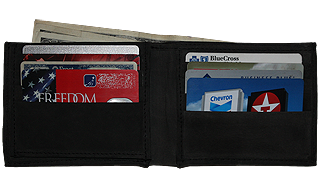 The timeless design allows for all of your cards to have a separate home while the flip-out ID window is perfect for flashing your credentials when needed. 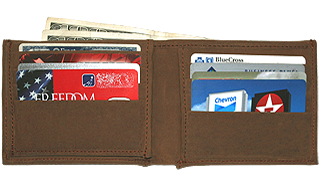 Two divided cash pockets allow you to keeps things separated, perhaps one for cash and the other for receipts. It is the perfect size for those who like to put their wallet in the rear pocket of their pants. Like all of our leather, this billfold will age nicely gaining a beautiful & rich patina that will look just like Dad's old, well worn wallet.